Exhibition Home of Refrigeration, Air Conditioning, Ventilation and Heat Pumps. Energy efficiency and sustainability remain the driving forces behind the development of new products and systems for refrigeration, air conditioning, ventilation and heat pumps. What future developments in heat pump efficiency are in the pipeline? What’s happening in the market for environment-friendly refrigerants? What do modern integrated C&I concepts look like? How will the individual trades be connected in the future? With their spectrum of products and services for refrigeration, air conditioning, heat pumps, industrial refrigeration and commercial refrigeration, the industry’s top players provide answers to tomorrow’s questions today. 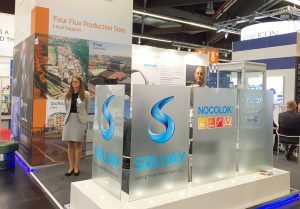 Solvay Fluor is exhibiting and you can find the NOCOLOK® team in hall 4 at stand 4-224. Solvay Fluor is the leading pioneer for aluminium brazing – and has been for years. 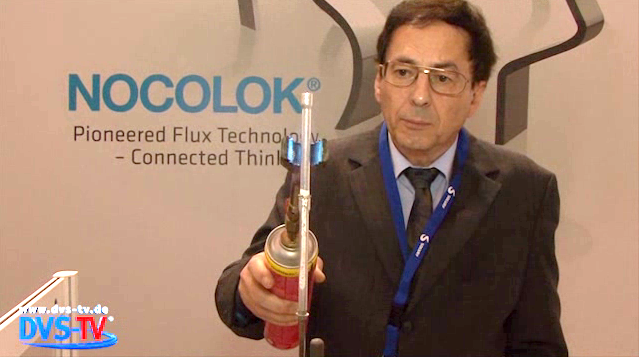 With our revolutionary NOCOLOK Flux we are the global market leader and trendsetter – our customers know: “NOCOLOK products are more than just a flux!” A wide net of specialists stretches across the globe locally supporting our customers. And, our research technologists continue to develop the best flux for your application. Connected global thinking and local support. NOCOLOK Flux without frontiers. 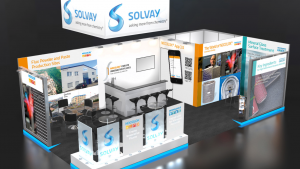 Solvay Fluor will present the glass demonstration furnace for aluminum brazing with NOCOLOK Flux live on the stand. Cryolite, Potassiumfluoroaluminate, Potassiumfluoroborate and other inorganic Fluorides are used as active fillers in abrasive materials to improve its performance. Solvay Fluor is one of the leading producers. Watch the preview of the show on DVS-TV (in German language).